Want to find and cook a favorite Secret Restaurant Recipe? Maybe you would like to know how to make a certain sumptuous chicken dinner, or an absolutely delicious Peanut Butter Pie, or an out-of this world experience with a Kahlua Mousse? Maybe you are just looking for a way to jazz up or enhance your family’s meals by cooking something you have never cooked before, whether it's a breakfast, a lunch, a dinner or and an appetizer. Or maybe, like me, you just like to cook and be appreciated for your efforts. Wouldn't that be nice! Please, let me help you. Try these once secret restaurant recipes. 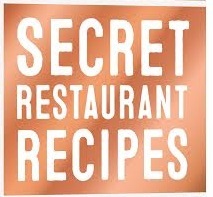 Now you can find a top secret restaurant recipe and make it your own. At Real Restaurant Recipes, you can find and enjoy many restaurant secret recipes that you can cook whenever you want, throughout the whole year, right in your own kitchen! Of course, there are literally thousands of recipes that can be found on the internet. There are also cookbooks available that can give you everything from the exact recipe you are looking for to "best guess" reproductions. Clones and copycat restaurant recipes often miss the mark because - they are just someone's best guess. The secret recipes remain a mystery because they are simply not the actual real restaurant recipe. Something is missing - the secret is missing. If you are looking for quality real restaurant secret recipes, you have now found the source. Don't "loose it!" Every recipe has all the details. Do it now. Add this site to your favorites. Just click the link. You can now amaze your family and friends by cooking up fabulous meals just like a quality restaurant. Want breakfast, lunch or dinner? No problem. Want soups, salads, appetizers, beef entrees, chicken dishes, pasta, or pork? Just click a tab on the left, read, print the recipe - and get it made. No problem. Need a menu idea for a special occasion or a holiday and you need the recipes as well? They are here. Click, click, click. You've got 'em! Try a restaurant recipe and you will have your family and friends believing that you ordered from a restaurant and brought it home. Can you imagine the surprised looks on their faces when you tell them that instead of purchasing their meal, you made it yourself from a top secret restaurant recipe? They'll probably wonder where and how you managed to find these great recipes. After all, secret recipe means secret, right? Well, not necessarily. Not at Real Restaurant Recipes! These recipes are customer-tested (tasted) and approved. They are tried and true, quality recipes that have been used again and again and many times over in a real, sit down and be served, restaurant - mine! Now they are available for you to try for yourself, including not only one top secret recipe from a restaurant, but many. It would seem that there are not too many things these days that are truly a secret. That isn’t necessarily a good thing when it comes to certain things, but when you are trying to find a top secret restaurant recipe, you will find the very best at Real Restaurant Recipes. These recipes are the real thing. Wouldn’t it be wonderful to be able to cook a famous restaurant recipe? 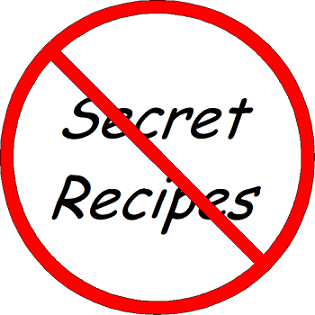 If you love to cook, and you love to eat great meals in restaurants, but can’t always afford them or you simply get tired of going to restaurants, you can now find that special top secret restaurant recipe and make it yourself, right in your own kitchen. Yes, YOU CAN. You can cook with confidence and style! Check out Real Restaurant Recipes today at www.real-restaurant-recipes.com. Try, then enjoy, a favorite restaurant recipe and the company of those you share it with. You will be pleased when the people you cook for stand in appreciation to recognize your efforts.